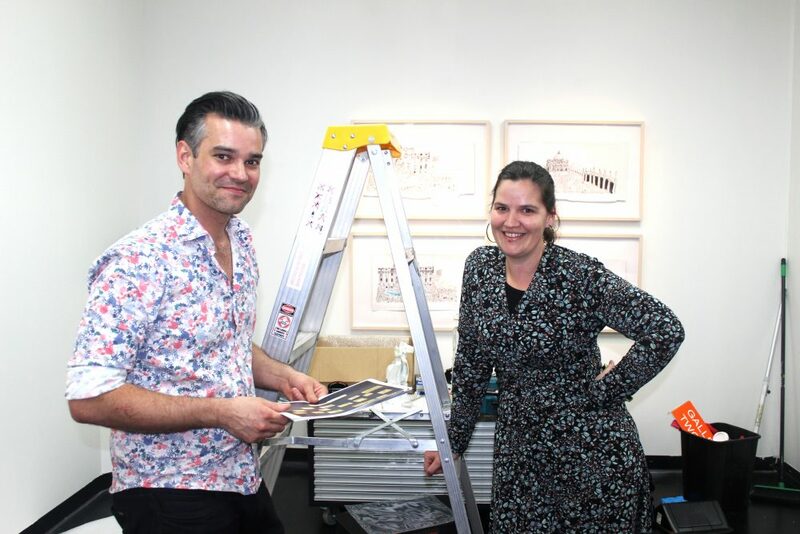 La Trobe Art Institute’s Travis Hodgson and Karen Annett-Thomas work to install the exhibition. La Trobe Art Institute curator Travis Hodgson doesn’t normally need to wrangle the gallery’s artworks into place, but then again he’s never hung Leigh Hobbs’ work until now. “They could definitely become unruly,” he said of Hobbs’ characters Horrible Harriet, Old Tom and the riotous Mr Chicken. The Leigh Hobbs show was part of last weekend’s Bendigo Writers Festival, and a focus of Text Marks the Spot; a free program for children courtesy of the festival and La Trobe University. Hundreds of local school children visited the exhibition last week, as well as enjoyed author talks, writing workshops and illustration demonstrations around Bendigo’s arts precinct. 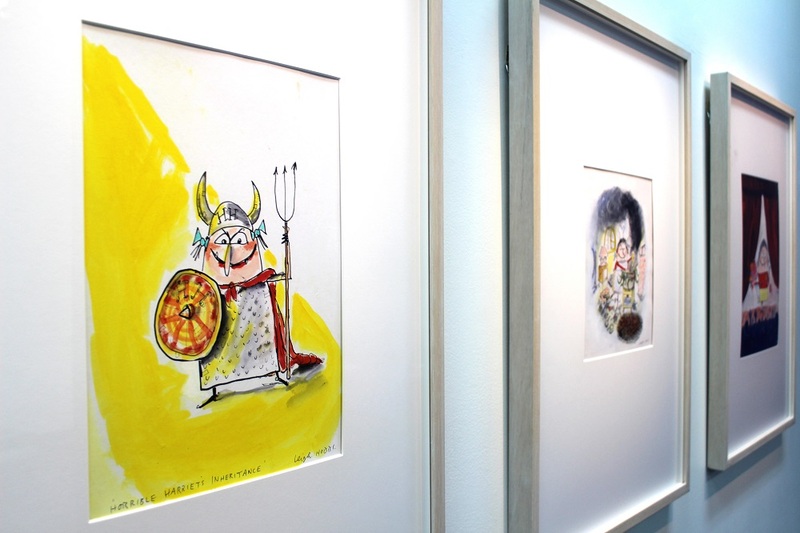 Travis visited the 2016/17 Australian Children’s Laureate in his Williamstown home studio to sift through the author/illustrator’s works on paper and hand select the pieces now on show. “We’ve chosen work which shows the development of his characters over time, and how his characters change the more and more he draws them,” Travis said. “Personally I have a really keen interest in the process of how artists make their work and develop a practice. “Hobbs himself is a real character. He’s as much a character as the characters he creates. Leigh Hobbs: Cast of Characters is a free exhibition open now until September 10 in the View Street gallery.